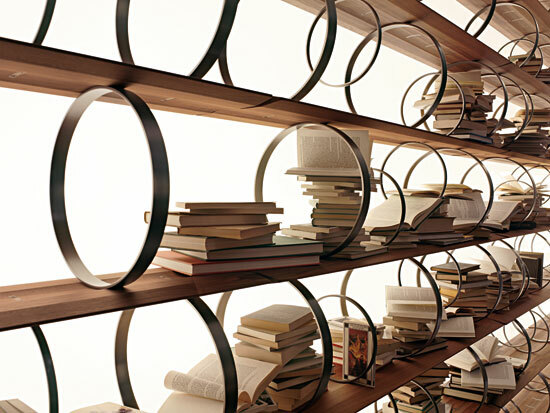 The Flying Circles shelving has been designed by Massimo Castagna for Italian furniture manufacturer Ceccotti Collezioni. 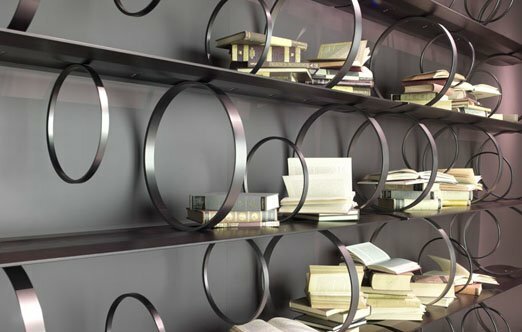 The modular bookcase with shelves made in solid American walnut or ebonized wood, structural and book stop rings and connection plaques in black nickel finished steel. 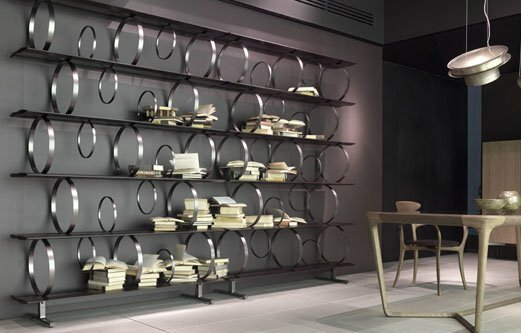 Visit the Ceccotti Collezioni website – here.